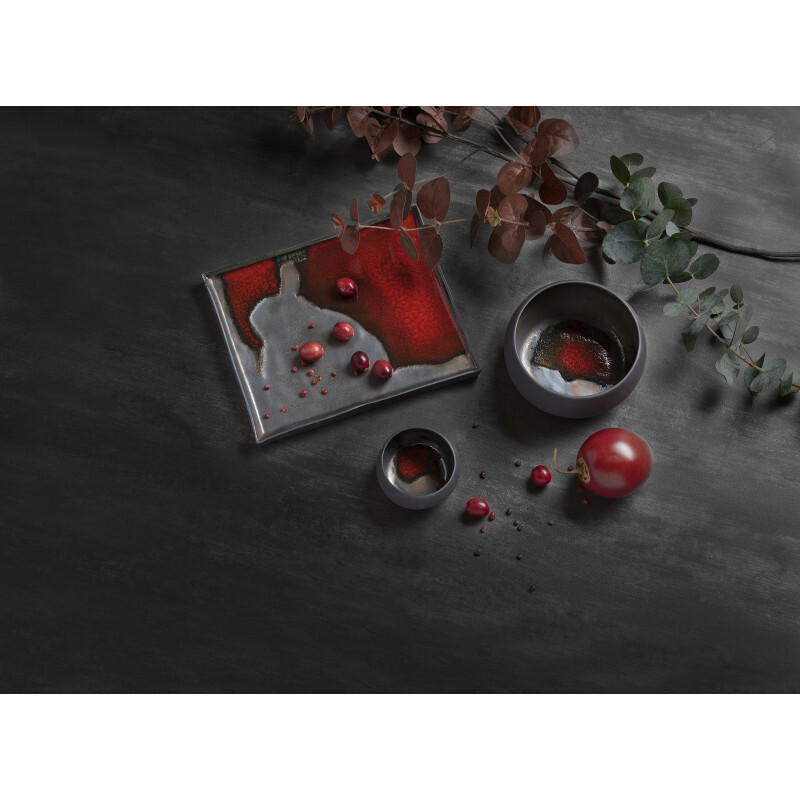 By designing tableware to enhance your tables, Revol has reinvented a tableware must-have with this bowl from the Solstice range. 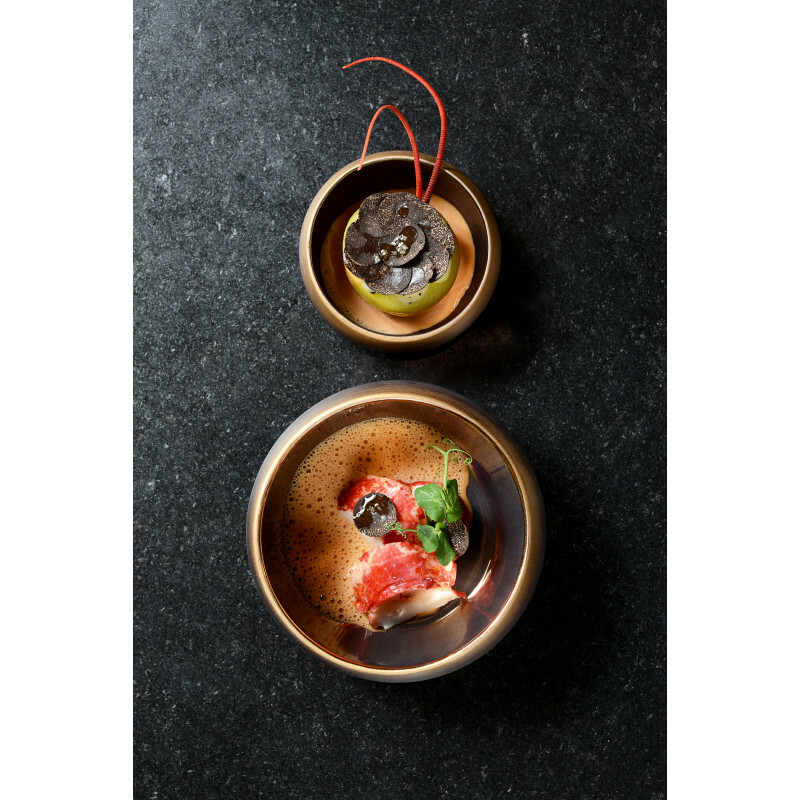 Play with its mineral effect texture, with its matt and glossy finish, discover the €˜gold' glaze to enhance your most beautiful dishes and much much more! 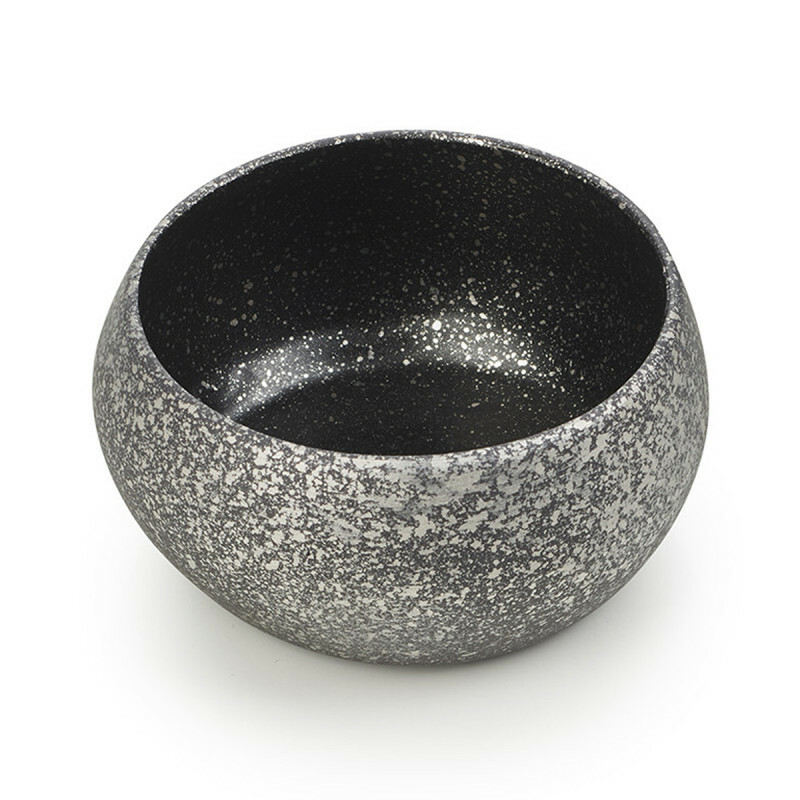 Crafted and decorated by hand, the ceramic Solstice bowl will transform your ceramic collection and pave the way for culinary creativity. 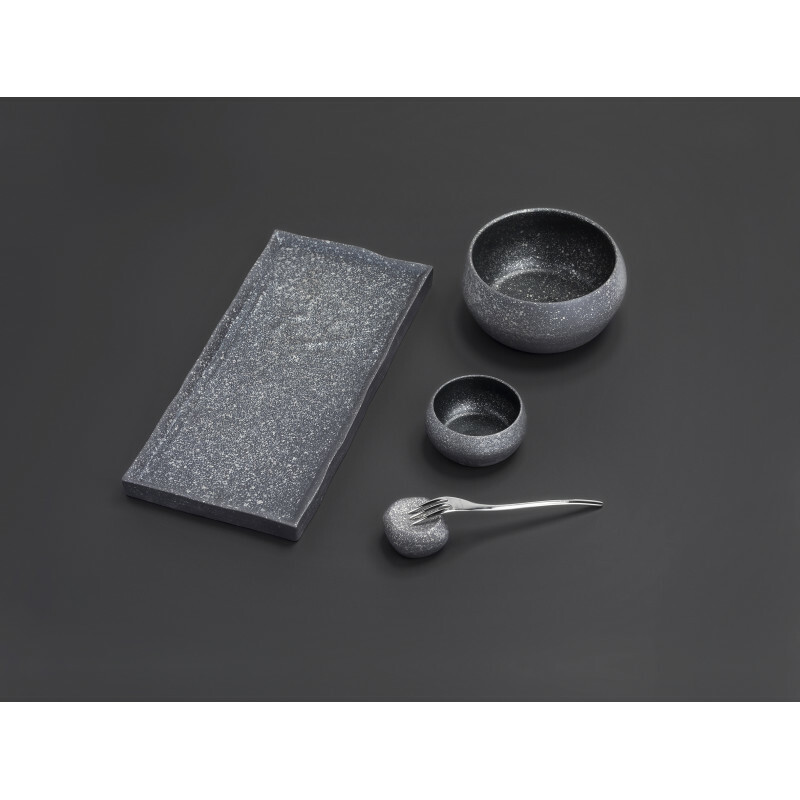 Transform this small bowl, ideal for presenting your sauces and spices, into a chic and elegant stand. 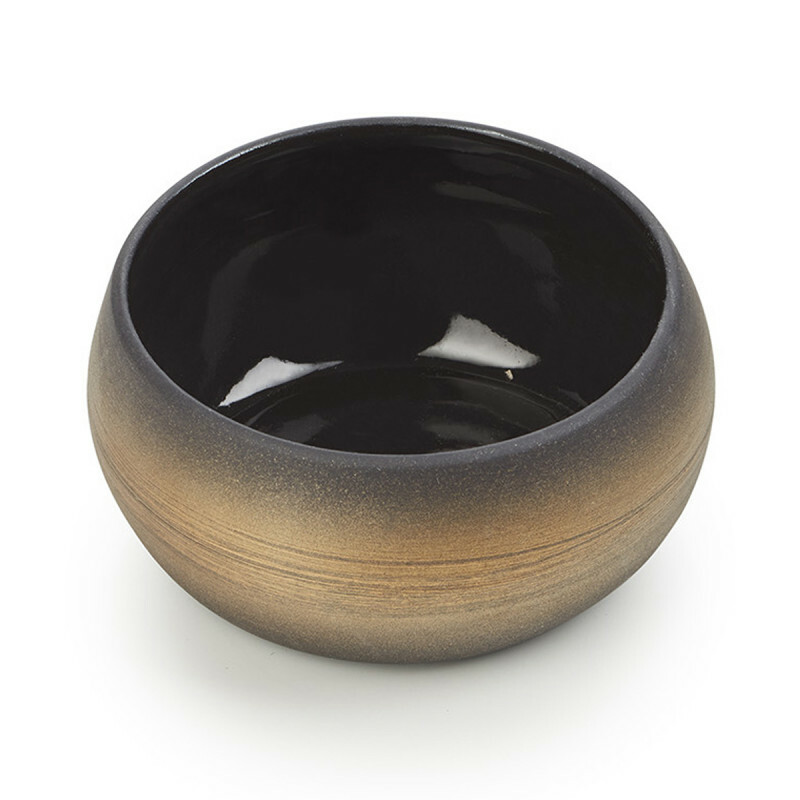 Upright or upside-down, this bowl with its soft tones will create an atmosphere to strengthen your image. 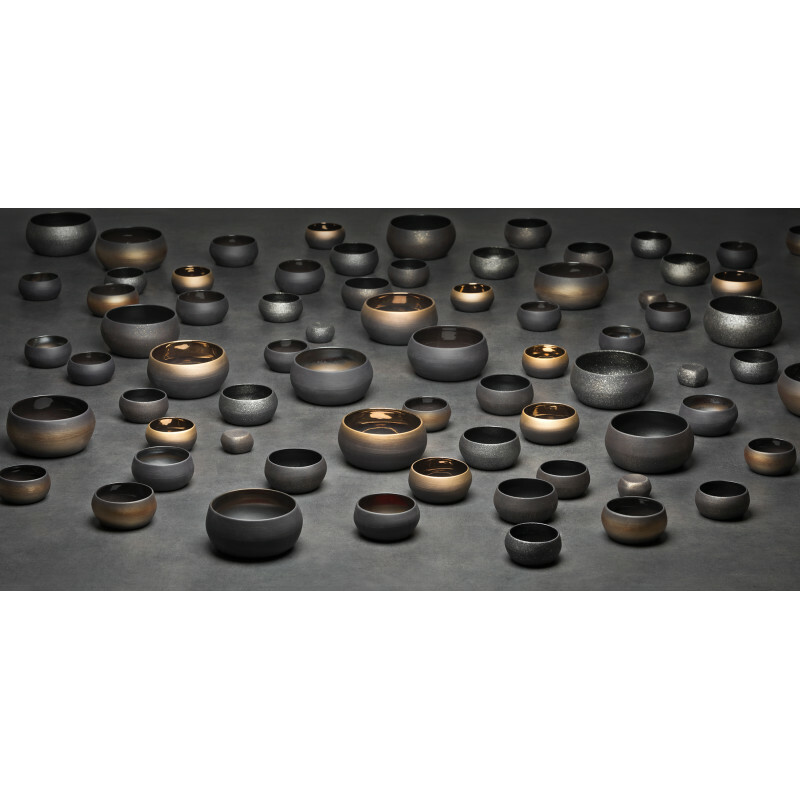 Each of these Revol ceramic bowls, has its unique design and irregular shape and comes in 6 colours. 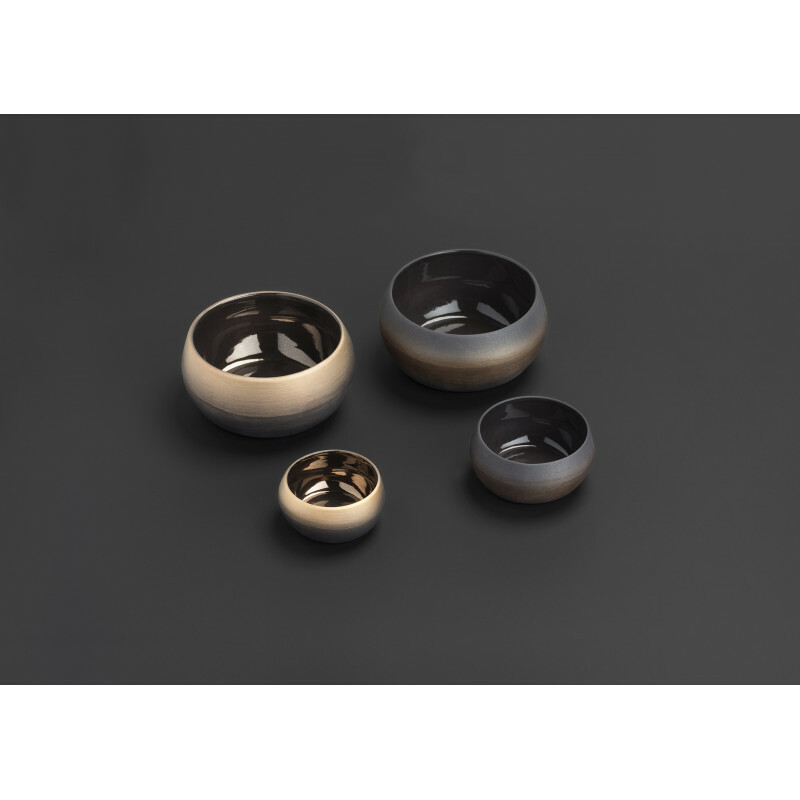 Without a doubt, this Solstice range will give a new approach on how to use the traditional ceramic bowl . 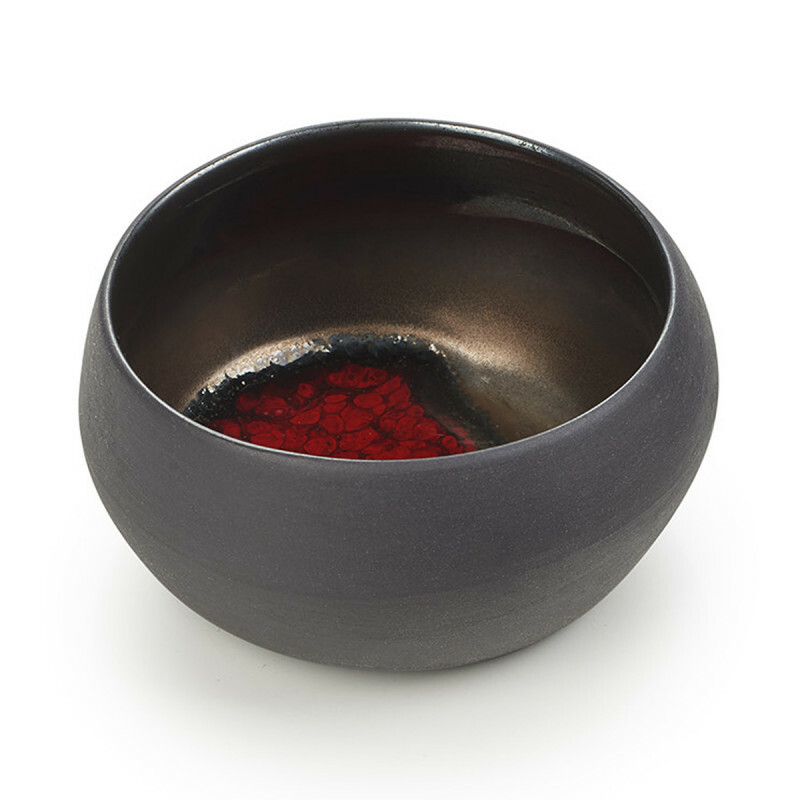 Present your appetizers and sauces in the Black Moon bowl and its predominance of texture and contours. Otherwise choose the fascinating golden finish of the Sunset Gold or Sunrise Gold. 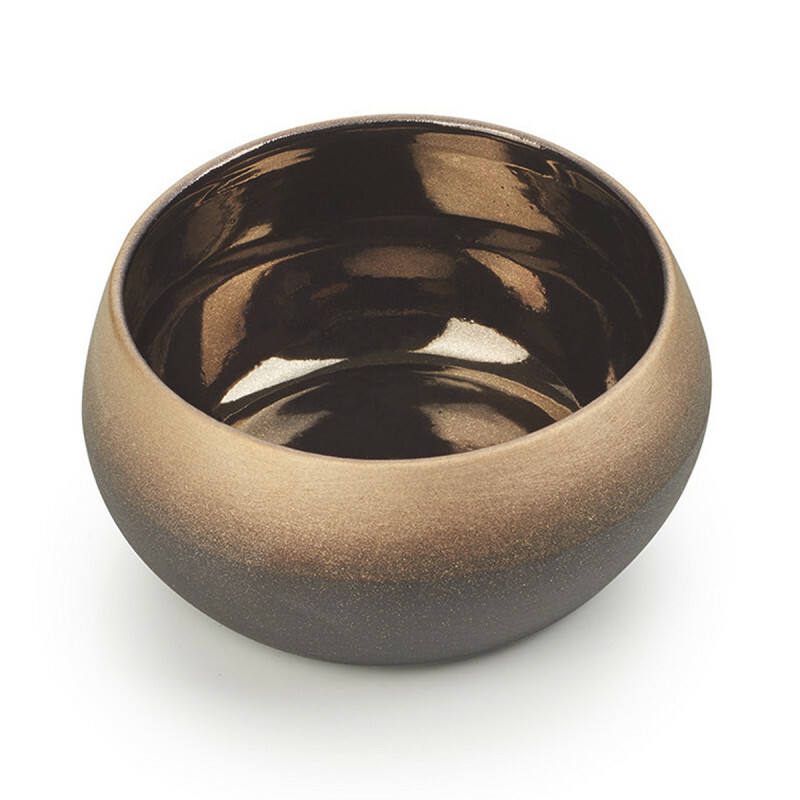 Surprise your guests with its use as a bowl or a display stand. 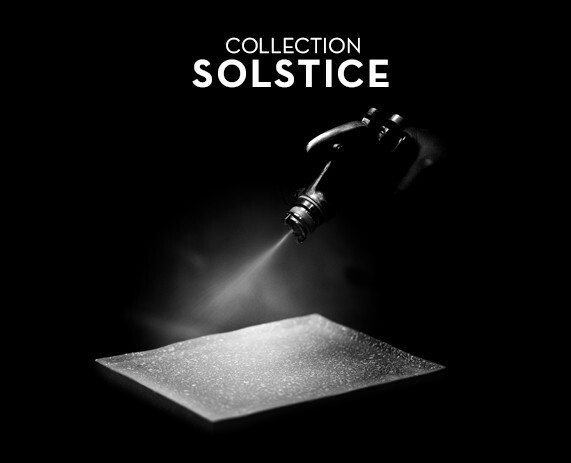 Trust in the effects of its raw material, this creation is hand-crafted and hand-decorated by Revol's artisans. 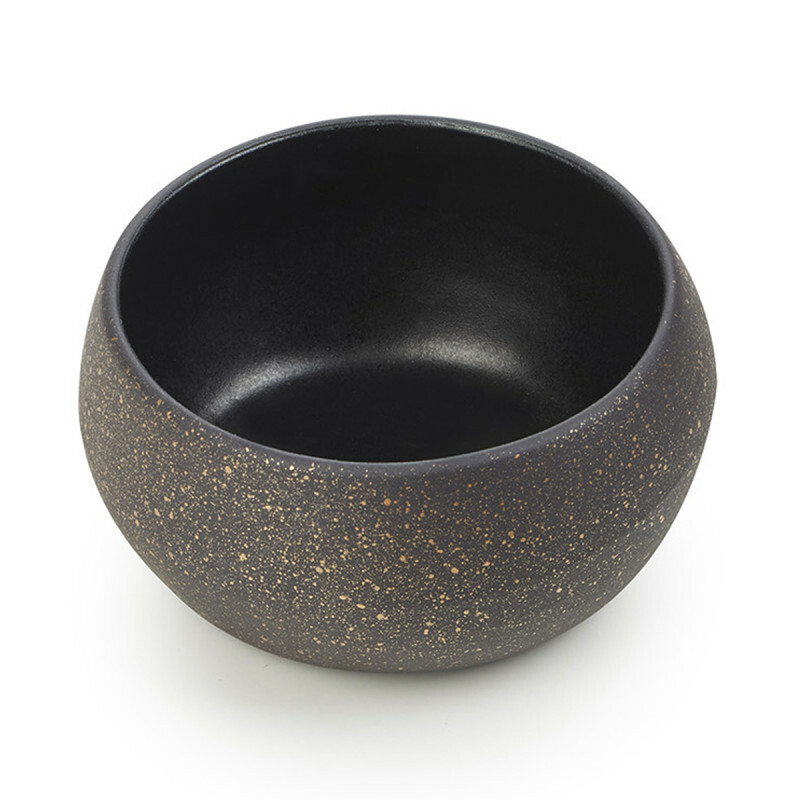 This bowl, 3.4 cm high becomes a display stand with one simple movement. 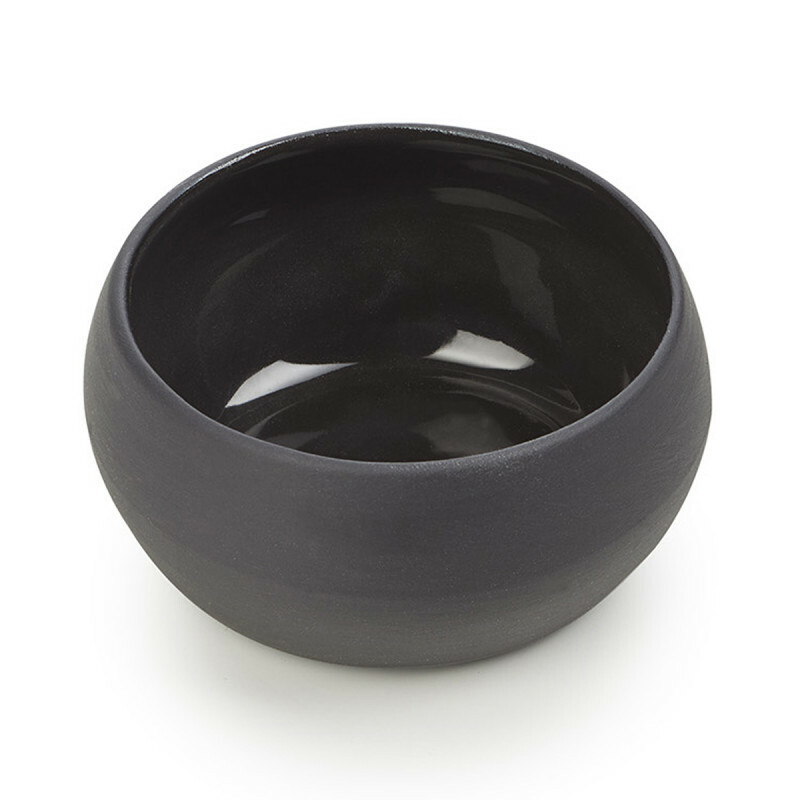 Oven, dishwasher, freezer and grill resistant, your Solstice bowl can be used at every service (and the Black Moon bowls are microwave proof).